have built great relationships with our customers. employees are committed to our mission statement and company goals. continue to work diligently for 100% customer satisfaction! 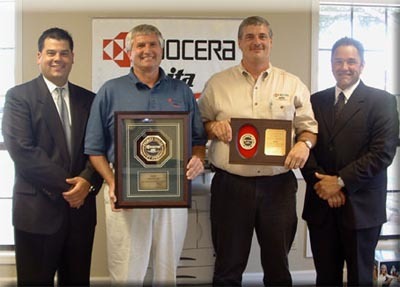 Kyocera Mita America System Support Engineer. Dealer Award for outstanding Technical Performance. Mississippi has received the Medallion Dealer Award.